Self-portrait by Robert Cornelius, 1839. 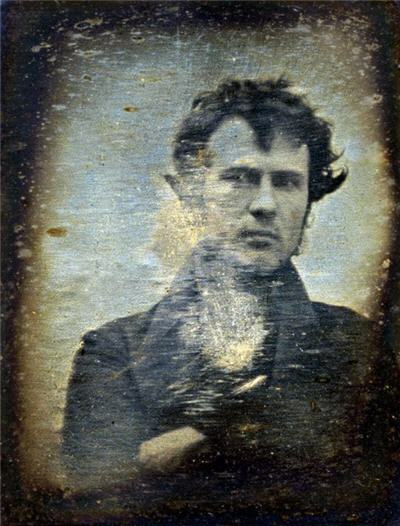 The above photograph by Robert Cornelius may look unremarkable but it is an iconic image, the first photographic portrait of a person to ever be made. The photograph was taken outside his family business in Philadelphia. Cornelius was a lamp maker, chemist, metallurgist, scientist, businessman and ventriloquist. 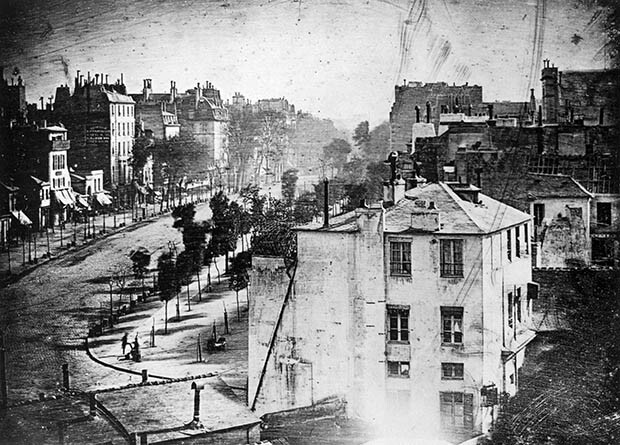 He was also an early experimenter in photography. Cornelius took his photograph in the back of his father’s gas lamp importing business in Philadelphia by taking off the lens cap and sprinting to his seat, then remaining motionless for over a minute before covering the lens. Cornelius would later operate two of the earliest photographic studios in the US, between 1841 and 1843, but as the popularity of photography grew and more photographers opened studios, Cornelius either lost interest or realised that he could make more money at the family gas and lighting company. One of the oldest known photographic portraits of a female. The subject is Dorothy Catherine Draper, sister of NYU professor John Draper and model for the first US daguerreotype portrait of a woman. It dates from 1839. 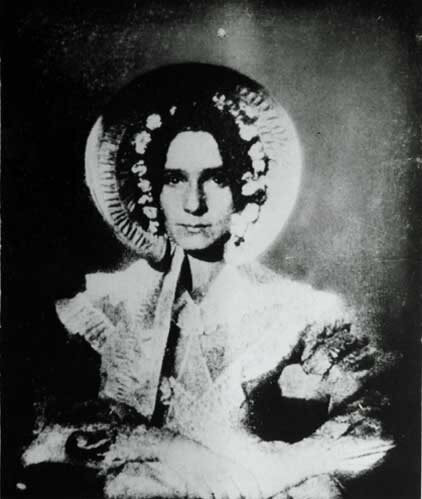 In that year Draper, a professor of chemistry, built his own camera and made what may be the first human portrait taken in the United States, after a 65-second exposure. The sitter, his sister Dorothy Catherine Draper, had her face powdered with flour in an early attempt to accentuate contrasts. (I have not been able to find any earlier photographic female portraits outside the US or any information about any such photographs).